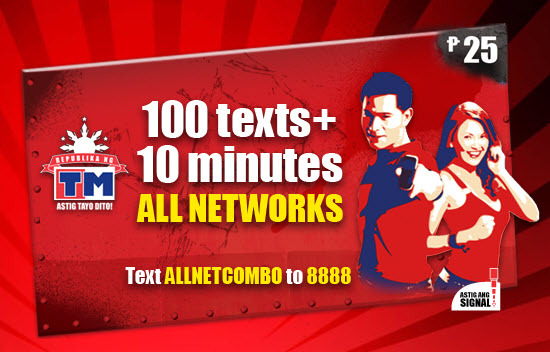 For Php25, you can have 100 texts and 10 minutes call to all networks (TM/Globe, TNT/Smart, Sun Cellular) for 1 day. Promo is only up to August 31, 2010. For more details, please check RepublikaTM.com website. dapat lahat ng unli my pang call at least 10 mins. lang..